Welcome to the construction site! 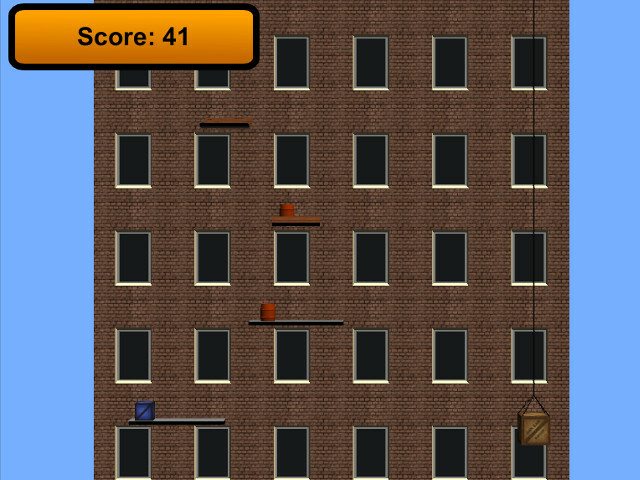 This new game from Creosote Studios will let you experience the operation of a crane. Your goal is to lift the biggest load as far as possible, with a Crane that can rotate up to 90 degrees! Beware the obstacles, try to pick up their bonuses, and rise higher and higher!